The Food Bank of Iowa maintains a 53,000 square foot distribution center in Des Moines containing more than 45,000 square feet of dry storage, 48,000 cubic feet of freezer space and substantial cooler space. Out of this facility, we serve 285 partner agencies in 42 counties. An additional 13 counties are served through our redistribution organization, the Food Bank of Southern Iowa. Kiwanis International strives to impact children all over the world. With nearly 150,000 service projects, 6 million hours of service and nearly $107 million every year for communities, families, and projects, Kiwanis International has big plans to help the world. We think that this is a powerful mission and love supporting Kiwanis International! We are proud sponsors of Los Niños de Tepyac because we enjoy supporting the children of the community and encourage them to participate in activities throughout the area! Mentor Iowa is such an important and essential organization in our local area. Now, through Mentor Iowa, abused; neglected; or delinquent children within the Juvenile Court jurisdiction can receive the support of a fully trained and professional mentor! We support Mentor Iowa because our donations help provide this much needed and influential support and direction to our young people. We're so thankful for the commitment of the men and women who volunteer at the Society of St. Vincent De Paul. They offer one-on-one help to people in need of intervention, consultation, finances, or just a kind word. Spiritually motivated, these men and women support some 12 million people across the U.S. each year. We at Midwest love what these men and women are doing and love supporting such a noble cause. We support and donate throughout the year to our local Boys & Girls Clubs because we know how important it is to have a safe place for kids to learn, develop healthy relationships, participate in life-changing programs, grow as a person, and develop strong character. These clubs want to provide hope and opportunity to the local children, and we couldn't agree more with that special mission. The Toys for Tots program has traditionally been one of the most nationally recognized non- profit programs in the United States. From its inception in 1947, the program has continuously provided a means for needy children. Last year, the Des Moines Toys for Tots program donated nearly 82,000 toys to 195 different organizations in Central Iowa. Thousands of children received toys as a result of the hardworking individuals who make this program a success. Once again, Midwest Basement Systems will be a 2013 drop of center. 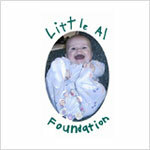 The Little Al Foundation was founded in May of 2008 with a mission aimed to financially support families needing to travel for the treatment of their child or children. In addition, they also provide help in an assortment of other ways such as offering gift cards to restaurants, gas stations, grocery stores, hotels, and other helpful places! Above all, they are an organization that helps families provide the specialized treatments and help to those in critical care. Healing is of the utmost importance. The Make-A-Wish Foundation® enriches the lives of children with life-threatening medical conditions through its wish-granting work. We love know that with our help children are experiencing hope and joy granted by the Make-A-Wish Foundation®. They have become on of the world’s most well-known charities and with a network of nearly 25,000 volunteers continues to grant children’s wishes everyday. Children's Cancer Connection is a nonprofit based in Des Moines, Iowa helping all pediatric patients and their families who may be diagnosed, treated, or lives in Iowa. We support the entire family, the entire journey through programs and services which are provided at little cost or free for families. 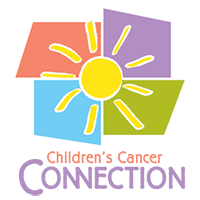 We offer support groups for parents, siblings, teens and young adults, oncology and sibling summer camps, survivorship services, scholarships, and various resource and education materials. This is made possible thanks to many caring people providing funding and volunteer support. Annually, Children's Cancer Connection uses more than 35,000 volunteer hours to provide our programs and services. Donations to help kids with cancer and their families are received from many sources. Children's Cancer Connection hosts fundraising efforts like the Flapjack 5k / 10k run and Camping the Night Away. We sell Christmas and Holiday Cards drawn by the children we serve. We receive donations from individuals, clubs and corporations. We are supported by grants from foundations. Fund Raising by Friends is one of our best resources - individuals and companies host fundraising events from bake sales to volleyball tournaments, and from golf outings to garage sales and they choose Children's Cancer Connection to benefit from their charity event. They are partners in our effort to bring comfort to families affected by pediatric cancer. The Blank Park Zoo is a beautiful, fun and exciting adventure that any local family should take! The zoo takes care of 49 acres of land where just about half has been transformed into the beautiful animal exhibits and the facilities. We donate to the zoo because we support the care and value this zoo places on its 1,484 animals! Wildwood Hills Ranch is a 400 acre non-profit facility, set in the scenic hills of Madison County, just south of Des Moines. Founded in 2001, the ranch exists to transform lives and strengthen communities by providing healing, hope, and God's unconditional love to children and at-risk youth. Free summer camp and year round retreats are offered to at-risk children ages 8 to 18. Kids are immersed in a fun, safe environment where character, leadership and teamwork are modeled and taught.